Politech, in cooperation with the University of Fine Arts in Poznań, conducted a project contest for students. The task for the students was a cosmetic packaging project alluding to current trends in design and meeting the expectations of modern consumers. The contest lasted from 17 of October 2017 to 18 of January 2018, when the winners of the competition were selected. The project was open to students of the Design Department at Faculty of Architecture and Design. Contest „Awareness of the ritual” required competitors to creating an innovative cosmetic packaging that meets several key conditions. One of them was a protection of packaged product from excessive exposure to air. Students showed exceptional creativity, big engagement and substantive preparation. The results of those were many great arts.-works, which surely could become a real product on the cosmetic packaging market. After long deliberations, jury chosen students who made it to the top 3 positions and one student who deserved a special distinction. Małgorzata Maik become a winner, the second place went to Michalina Jedwabna, a the third place went to two students – Agata Rosiecka and Jeremi Dagiel.Bartosz Pędziński became the special honored participant. We want to congratulate the winners of the contest! Congratulations for all hard work putted in this project should go also to: Klaudia Sowa, Kamila Rudnicka, Zuzanna Skórska, Michalina Brokos, Klaudia Nowicka, Ewelina Komoń, Agnieszka Tomczak, Jowita Gawron, Aleksandra Krystosiak, Natalia Kozieł, Sandra Kostro and Marta Nowakowska. Throughout the entirety of July, Politech was a second home for the group of six students from University of Science and Technology in Bydgoszcz and University of Art in Poznań. Youth were part of the first edition of Politech’s Academy which became a huge success. From 6th to 7th of June CosmeticBusiness fairs in Munich was held. Politech was at the event once again. Our team presented Politech’s offer and made a research about trends in cosmetic packaging suppliers market. Politech’s employees just came back from cosmetic fairs in Bologna, Italy. Event called Cosmoprof Bologna 2018 turned out to be successful but also… busy. Accordingly to members of a team who represented our company in Italy several times, it was the best event in couple years. Politech made the most of PCD Paris 2018 fairs from 31 of January to 1 of February. Many potential partners expressed interest in our offers and our new technologies made us hard to forget. So it is no surprise that Politech’s team came back from capital city of France with a spring in their step. We are proud to announce that Politech sp. z o.o. received a Certificate for Management system as per PN-EN ISO 9001:2015. Certification is an confirmation of high standards used by our company in following scope: design, manufacturing and decorating of plastic cosmetic packaging. Politech from Osielsko near to Bydgoszcz (Poland) celebrates its 20th anniversary. Politech is a family business with global range in processing of plastic materials for cosmetic and perfumery industry. Once again Politech took part in Szlachetna Paczka charity project! For the sixth year in a row Politech entered the Szlachetna Paczka charity project. The company decided to help 63 years old Ms. Grażyna, who’s struggling with many adversities. The collection lasted from 27 of November to 6 of December. During this time the employees and management of Politech gathered all of the things that Ms. Grażyna needed. Allvernum eau de toilette with Politech's Anna closure named as "Doskonałość Twojego Stylu 2017”! Allverne products were honored at the most prestigious cosmetic event in Poland. The „Doskonałość Twojego Stylu 2017” went to the Allvernum eau de toilette woman series for what the judges described as the "elegant look of the packaging", and Politech was awarded for the complementary Anna closure. Katarzyna Nawrocka-Rasmus, Sales and Marketing Director at Politech, provides an insight into life at the award-winning plastic cosmetic packaging company. From investment to product individualisation and business strategy to surlyn, discover how the progressive Polish company effectively markets to European perfume and luxury cosmetic customers, and is at the forefront of decoration technology. In October 2-4, At the Grimaldi Forum in Monaco, Politech Team participated in the Luxe Pack fair. 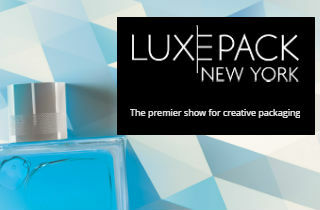 Every year, Luxe Pack attract hundreds of exhibitors and thousands of visitors interested in the news in the packaging segment for luxury goods. For some time the Politech company has been building its online digital presence, a part of which is its portal on Webpackaging. Politiech has recently enriched its portal by using Webpac's 3D Studio feature. In this case, Politech's customers can design their own versions of the "Rock" closure, changing such things as the colour to match their own particular branding. The think tank from the Institute of Industrial Design have nominated the Cream Jar, an individual project by Politech, for the “Good Design 2017” award. The jar, created on behalf of the Awantys company, enchants with its diamond shape and adornments. On 21 and 22 June 2017, an international trade fair of the cosmetics supplying industry, Cosmetic Business 2017, was held in Munich. It was the 13th edition of the event and the first one attended by Politech. Saying that sport is always good for your health might sound strange in this case. On the long weekend in June, Myślęcinek Park in Bydgoszcz hosted Terrain Massacre, a multi-terrain adventure race that turned out to be an extremely challenging event. .
On June 3, Politech celebrated Children’s Day. The employees and their children got together to enjoy the beautiful weather and have some fun. On 27 – 29 April 2017, Istanbul hosted the 13th international cosmetic fairs Beauty Eurasia. Our representatives attended this event not as exhibitors but as guests. On the first day we arrived at the Istanbul Expo Centre, located close to the Atatürk Airport, seeking to expand our list of business contacts. DOT is a new standard product from Politech. Over the years, the greatest designers eagerly returned to shape of a ball which is a symbol of perfect beauty. This year we celebrated 50th anniversary of Cosmoprof and Cosmopack. The fairs were prepared in a professional way and enjoyed great popularity. How do you reach a perfect finish on fragrance or cosmetic packaging? There are many methods available on the market. We recommend metallization and lacquering to give the packaging real shine. Vacuum metallization and UV lacquering are technologies used for the decoration of caps, collars, and lids produced by Politech. Bright colours, clear product catalogue, interesting facts from the world of plastics processing are not the only elements of the new service.